世界的に著名な講師陣がずらり～Integrative Nutrition Week5 | BIO ARTS NYC, INC.
Joy Bauer is one of the country’s foremost nutritionists and a contributor for the Today show, Yahoo, and Self Magazine. She is the author of several books including The 90/10 Weight Loss Plan, The 90/10 Weight Loss Cookbook, Joy Bauer’s Food Cures, and The Complete Idiot’s Guide to Total Nutrition. Annemarie Colbin is the founder of the Natural Gourmet Institute for Health and Culinary Arts in New York City. She is an internationally recognized health educator, consultant and speaker, specializing in food and its effects on health. She is the author of Food and Healing, The Natural Gourmet and The Whole-Food Guide to Strong Bones and also writes a regular column for New York Spirit magazine. Dr. Colbin has won numerous awards for her teaching, writing, and business activities. Founder of the Zone Diet, he has led the way in biotechnology and nutritional research, developing drug-delivery systems for cancer and heart patients. Dr. Barry Sears is a former MIT researcher, holding over 12 patents for cancer treatments and the dietary control of hormones. He is the author of the #1 New York Times bestseller The Zone, as well as eight other nutrition books including Mastering the Zone, The Anti-Aging Zone, and The Omega RX Zone. 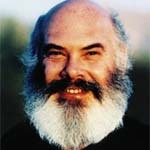 A Harvard Medical School graduate, Dr. Andrew Weil has traveled the world experiencing and studying healers and healing systems. He is a world-renowned, bestselling author of several books, including Healthy Aging, Spontaneous Healing and Eight Weeks to Optimum Health. He is the founder and director of the Program in Integrative Medicine at the University of Arizona, a pioneer of Integrative Medicine, and an expert in medicinal herbs and mind-body interactions.